Share this!Facebook0Google+0LinkedinTwitterTumblr0StumbleUpon0Pinterest0DiggemailIn this post I explain the basics of a Reverse Flow Smoker. I discuss some of the parts of a Reverse Flow Smoker as well as some definitions you will need to understand going forward. Check out the Reverse Flow Smoker page to learn more. Share this!Facebook0Google+0LinkedinTwitterTumblr0StumbleUpon0Pinterest0DiggemailWelcome and thanks for checkin’ us out! 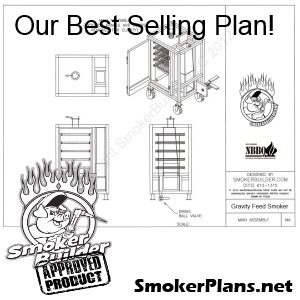 We hope to be your #1 source for tips and tricks on How To Build Smokers. Watch for Tips on everything from Designing, Layout, Welding, Cutting, Painting, Seasoning, and even Using Smokers!